Roku's $30 streaming box makes big compromises in pursuit of a low price tag. Aside from Its $30 price tag, the Roku Express feels like a streaming box from a bygone era. It’s reminiscent of a time when we didn’t demand much from our media streamers beyond a simple way to access Netflix or Hulu; when we were more willing to tolerate choppy performance and finicky remote controls. That’s not to say the Roku Express serves no purpose, but it’s more about giving Roku “cheapest streaming box” bragging rights—a dubious distinction when you’re talking about a small handful of dollars—than about pushing the streaming experience forward. Several better options exist for just a little more money. 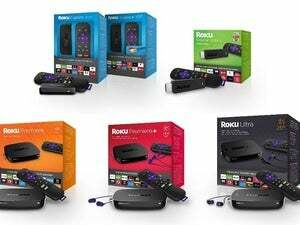 Give Roku credit, at least, for the Roku Express’ looks. Measuring just 3.3 inches long by 1.4 inches deep by 0.7 inches thick, it’s as if the Express was born by cutting an old Roku box in half on both axes. The Express is Roku’s smallest streamer that doesn’t come in HDMI stick form. 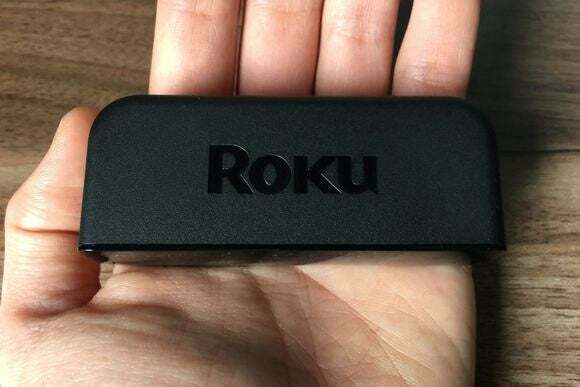 While impressive, the Roku Express’ diminutive size and weight (1.3 ounces) creates a challenge: Most HDMI cables are so rigid that they’d pull the box asunder from a TV stand. To deal with this, Roku includes its own two-foot HDMI cable that’s limber enough to prevent the Express from flying away. 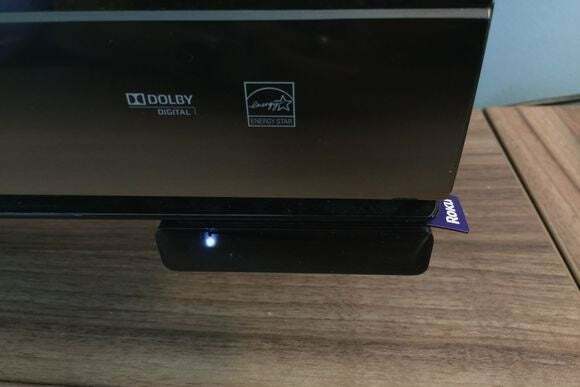 If your TV setup requires a longer cable—because it’s mounted to the wall, for instance—the best way to anchor the Roku Express is with a strip of double-sided tape, which is also included in the box. You can then stick the Roku Express to your television’s frame or to an entertainment console, which is both a clever idea and a clumsy form of compensation. In any case, the adhesive is strong and comes off clean, though it doesn’t maintain its shape well after being removed. The Roku Express includes a strip of adhesive for sticking to a television or furniture. Truthfully, a low-profile device like this is just begging to be hidden away, either behind the TV or inside a windowless cabinet where the flyaway issue doesn’t matter. But that’s not possible because the Roku Express relies on an infrared remote, which requires line-of-sight to the box. 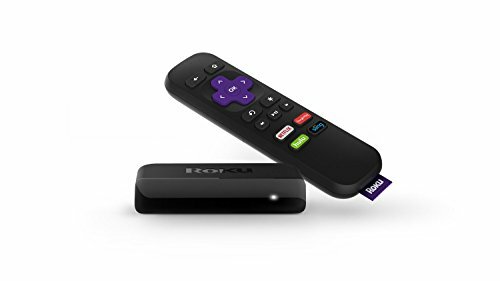 I’m not a fan of IR remotes to begin with, because being able to point anywhere is much more convenient, but RF seems like an even bigger omission here because of the Roku Express’ design. 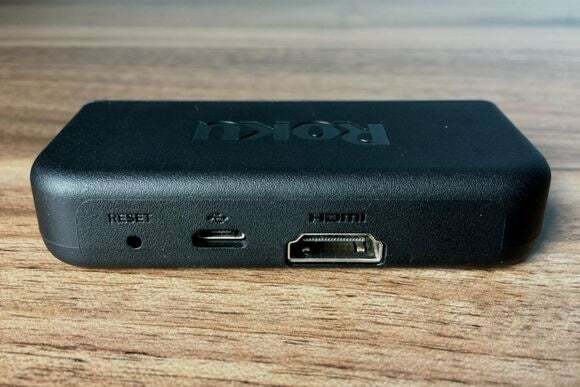 While Roku doesn’t give specifics on the Roku Express’ processing power, this is the weakest device in the company’s current lineup, which also includes the Roku Streaming Stick, the Roku Premiere, and the Roku Ultra. The lack of muscle is immediately evident on the main menu, where animations vacillate between smooth and choppy, and what’s happening on screen sometimes lags behind what you’re pressing on the remote. That said, Roku’s software is optimized for low-end hardware, and the Roku Express is the platform’s biggest beneficiary. Apps that make use of Roku’s cookie-cutter design format, such as HBO Go, remain relatively unencumbered by the Express’ performance limitations. Performance is also a non-issue once you’re watching videos, which stream at up to 1080p resolution. The box even supports video playback at 60 frames per second, so you get smooth motion in MLB.tv, ESPN on Sling TV, and sports channels on PlayStation Vue. 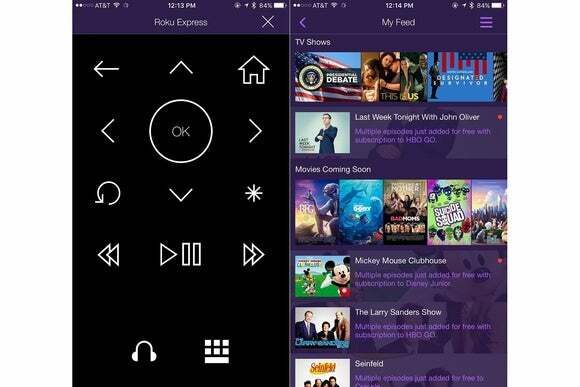 Where the Roku Express really falters is on richer, more power-hungry apps. In Sling TV, for instance, each channel’s contents take a couple seconds to load, so flipping through the guide becomes frustratingly inefficient. And if you try to scroll quickly through the channel list, the Roku Express struggles to keep up. Even if you don’t use Sling TV, the risk is that as the Roku platform allows for more ambitious apps, the Express will come obsolete. Sling TV becomes a frustrating experience on the Roku Express. In terms of bandwidth performance, it’s also worth noting that the Roku Express is limited to 2.4GHz 802.11b/g/n Wi-Fi, which will be a problem if your airspace is congested with legacy wireless devices—you won’t be able to take full advantage of that dual-band 802.11ac router you bought. There’s no ethernet port for wired connections either, no USB port for local media playback, and no optical audio output for connecting to an A/V receiver (although the enthusiasts who might want such features wouldn’t buy a low-end streamer like this in the first place). 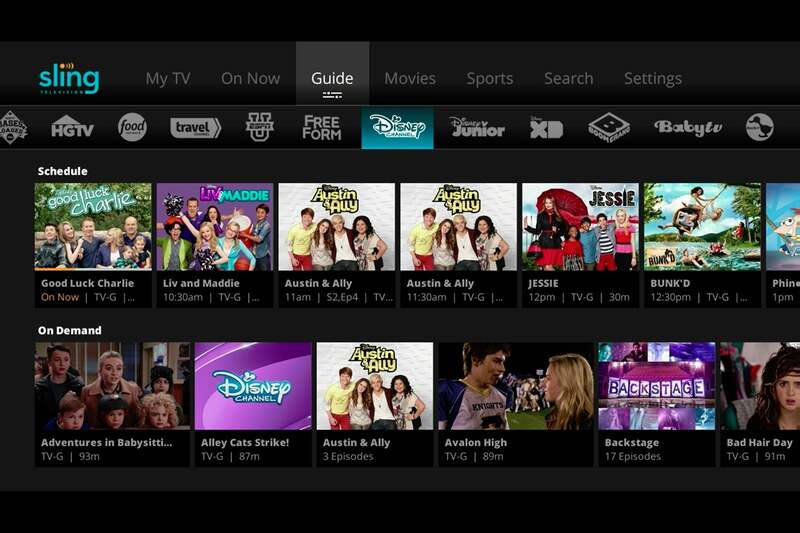 The good news is that Roku hasn’t stripped away any capabilities on the software side. Universal search now supports more than 100 content sources, and the excellent Roku Feed alerts you to new episodes of your favorite shows, price drops on movies you’re interested in, and updates on actors and directors who you like. And while there’s no voice search or headphone jack on the remote, those features are available on Roku’s mobile app (which, in the absence of an RF remote, is arguably better for controlling the Express than the physical remote). Roku’s mobile app is a better remote than the physical one that comes in the box. Roku is positioning the Express as a replacement for the previous Roku 1, pointing out that it’s twice as fast. But the Roku 1’s defining trait was its composite video output for older non-HD televisions. If you want composite video now, you’ll need the Roku Express+, which is otherwise the same as the regular Express but costs $40. Aside from that optional upgrade, the Roku Express’ most notable feature is its price tag. But by spending just a little more, you won’t have to deal with all of its trade-offs. 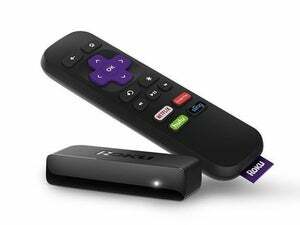 From Roku, the 2015 Streaming Stick is an excellent value. For only $20 more than the Express, you get much smoother animations and faster performance in apps like Sling TV. 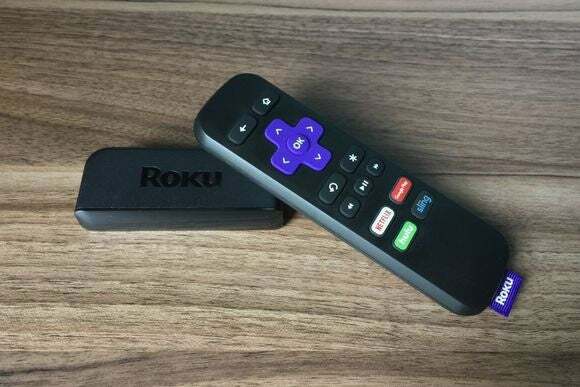 The Roku Streaming Stick also includes a point-anywhere RF remote control, supports dual-band Wi-Fi, and comes in a more portable design that doesn’t require an HDMI cable. In other words, it eliminates all of the Roku Express’ biggest shortcomings. HDMI and micro-USB power are the Roku Express’ only ports, though the $40 Roku Express+ adds composite video. Outside the Roku ecosystem, Google’s $35 Chromecast stick avoids the performance pitfalls of other cheap streamers by offloading navigation to your phone, tablet, or laptop. The phone-as-remote concept isn’t for everyone, but it does allow the device to remain future-proof as mobile apps evolve and smartphone performance improves. One other cheap streaming device to watch is Amazon’s new Fire TV Stick, which costs $40 with a voice remote. It’s supposedly up to 30-percent faster than the original, which was really starting to drag on demanding streaming apps like Sling TV and PlayStation Vue, but we’ll reserve judgment until we’ve had a chance to test it. Who’s the Roku Express for, then? The most charitable argument is that it’s for people on extremely tight budgets who want to tap into Roku’s existing app catalog (which does include lots of oddball sources for free content) and are willing to suffer some substantial trade-offs to save $20 or less. Either that, or it’s a gift for the people you merely tolerate.